This morning I was looking through some old sketchbooks (actually just trying to find some blank pieces of paper), and I came across this little drawing. I am not sure when I drew this one, but probably it was quite a while ago. 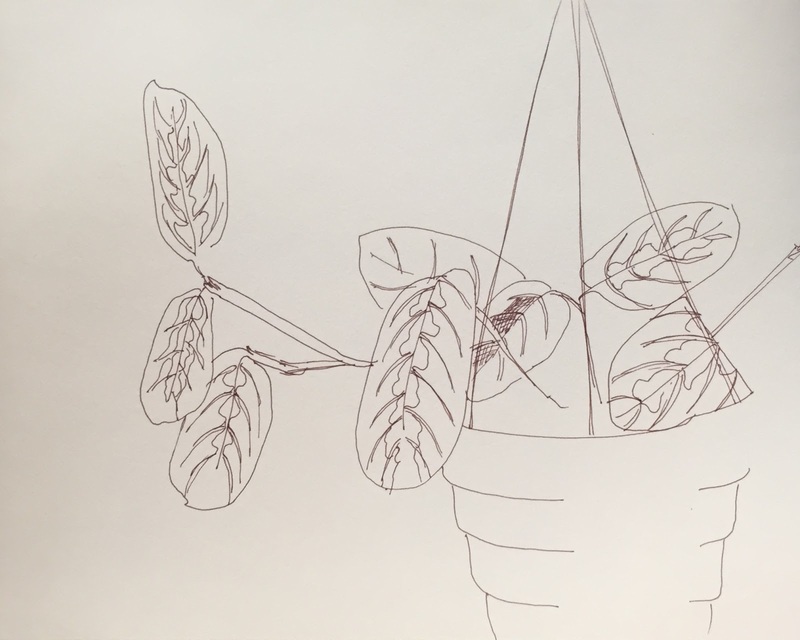 This is a pen and ink sketch of a prayer plant (aka maranta). 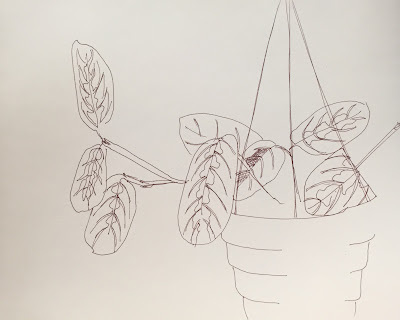 The plant is very colorful, with lime green and hot pink, but for this drawing, I concentrated on the beautiful patterns in the leaves. This is the drawing I finished today. This is an illustration for a recipe that I plan to post today on our food blog, seasoningforeverypalate.wordpress.com. 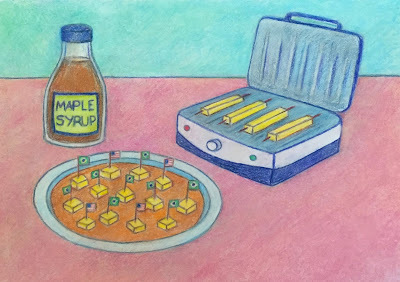 This is for our friend Thais' recipe for Brazilian grilled cheese, with maple syrup sauce. This is mixed media (colored pencil and conte) on paper. I spent the last two days making corrections, but am declaring it finished because it is time to post the recipe. Here is the drawing I have been working on as it looked yesterday, August 28th. This is an illustration for a recipe that will soon be published on our food blog, seasoningforeverypalate.wordpress.com. 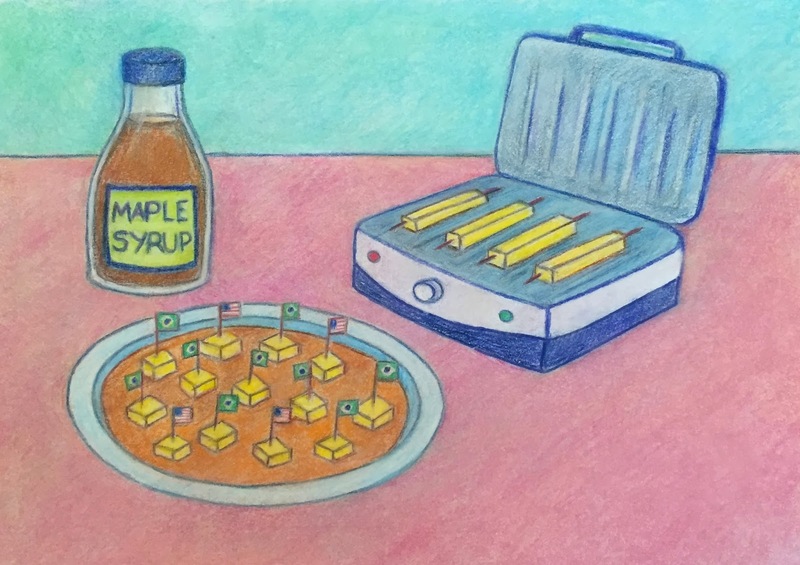 The recipe is by our friend Thais, who makes Brazilian grilling cheese but gives it an American touch by using maple syrup as a dipping sauce. On the 28th, I worked on the color scheme, especially the wall in the background. I used layers of blue, green, and white and was pretty happy with the result. 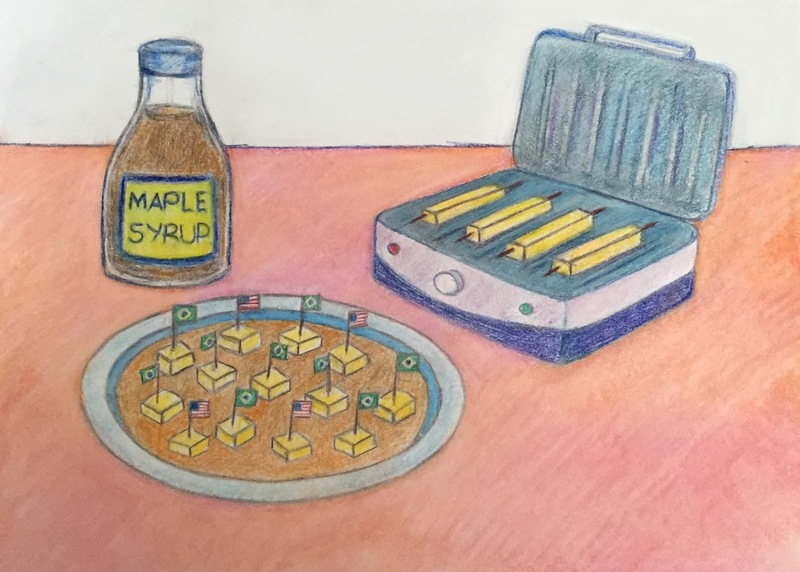 I decided to use more orange for the maple syrup in the plate, and from there, I abandoned my idea of making the color of the table more neutral, and decided to heighten the color instead. I have to say that the color scheme has been the biggest puzzle in this drawing. I also tried to sharpen the lines as I went along, and clean up little mistakes. Almost done here; just a little bit more to do. 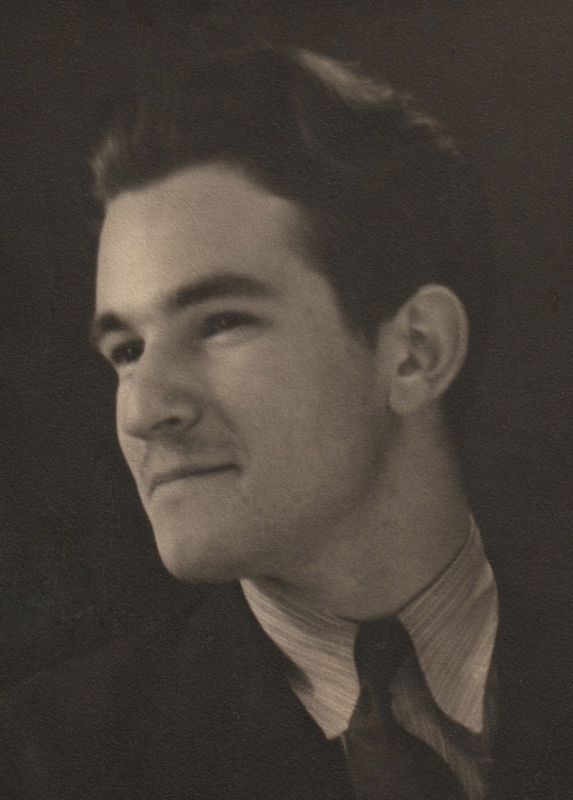 During a visit to New York, some time after my father died, my Aunt Celia gave me a box of photos of that showed my dad as a boy and a young man. I am still grateful that Aunt Celia did that for me. It was a great surprise, especially because I had never seen these photos before. When I got home, I put them in a new photo album that had an insert on the front cover for a photo. This is the photo I chose to put on the cover. I love this picture of my dad (and am grateful to the unknown photographer who took this picture). But the photograph itself was falling apart, so last night I scanned it into the computer and did some digital editing to get rid of tears, scratches, and stray marks. The image was not symmetrical, so I also cropped the digital version. On the back of the photo, someone had written "Hy" and the date, "Feb. 11, 1939". So he was twenty at the time this photo was taken. I am posting this today because he was born on August 28. This morning I worked on this drawing again. This is going to be an illustration for a recipe in our food blog, seasoningforeverypalate.wordpress.com. The recipe is by our friend Thais, who makes grilled Brazilian cheese with a maple syrup dipping sauce. Today I worked on the color scheme, especially the background color of the table-top. I am still working on the color for the wall. I also started some clean-up. I will need to do re-define some of the lines and fix a few things, but this is getting close to finished. 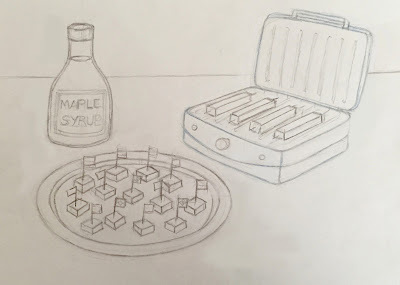 This morning, I worked on this drawing, an illustration for a recipe that will soon be published in our food blog (seasoningforeverypalate.wordpress.com). 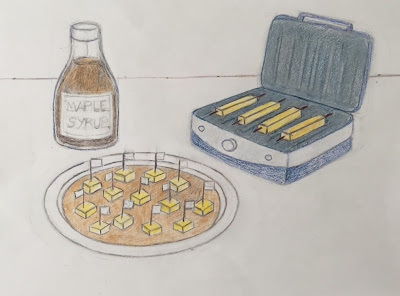 This is a drawing of Brazilian grilling cheese, served with a dipping sauce of maple syrup, to illustrate a recipe by our friend Thais. Today I adding color with conte crayon and colored pencil. I am still working out the color scheme, which is a bit of a challenge due to the primary colors in the flags. I decided to derive the background colors by layering and recombining the colors in the flags, and then softening them. So the light blue plate echoes the blue and white of the flag. For the color of the table, I layered pink, orange, and white (to combine the yellow, red, and white colors in the flags). I like the peach color, but at the moment it is too strong for a background color, so I plan to soften it and make it more neutral. But this is as far as I got today. Today I worked on this drawing again. This will soon be published in our food blog (www.seasoningforeverypalate.wordpress.com). The recipe is from our friend Thais, who serves this grilled Brazilian cheese with a dipping sauce of maple syrup. I wanted to use "flag toothpicks" in this drawing. I drew them in this morning because I knew that if that didn't work, I would have to start the drawing over. But I was happy with the little Brazilian and American flags. I also did some more work on the maple syrup bottle, trying to get it to stand up straight. And I kept going on adding color. I am still thinking about the color scheme. This morning I continued to work on this drawing, which is going to be an illustration for a recipe on our food blog, www.seasoningforeverypalate.wordpress.com. 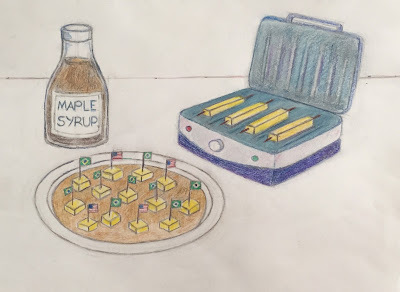 The recipe is by our friend Thais, who gives grilled Brazilian cheese on a stick an original twist by making a dipping sauce with maple syrup. Today I started to add color, as you can see. But a lot of the work I did is less obvious. 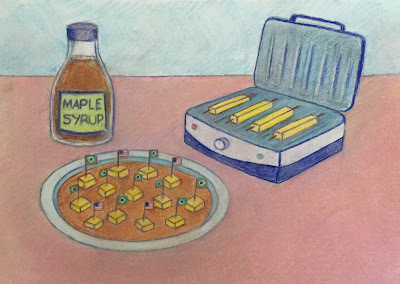 I have been thinking about replacing the toothpicks with little Brazilian and US flags, and then yesterday I discovered online that in fact you really can buy flag toothpicks of every country. 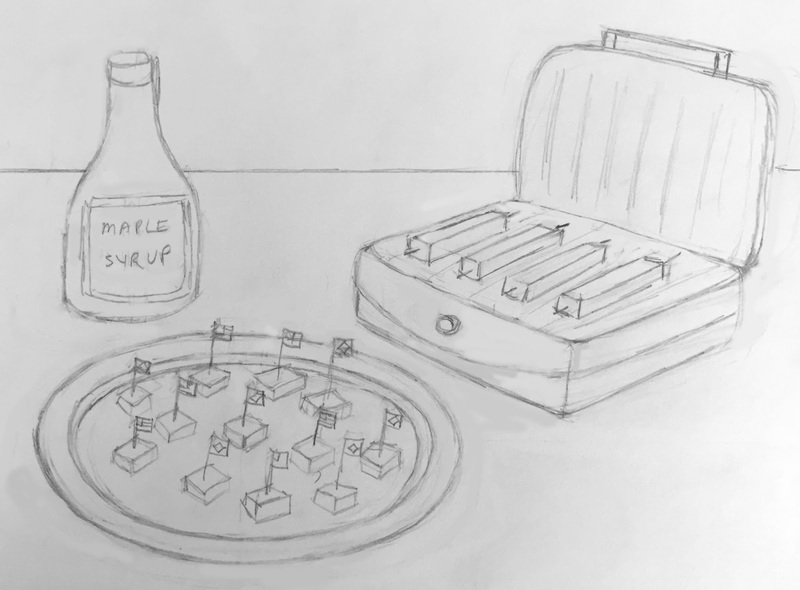 So this morning I did some trial drawings of tiny flags, the same size as in the drawing, to see if I could make the idea work. (I think so.) 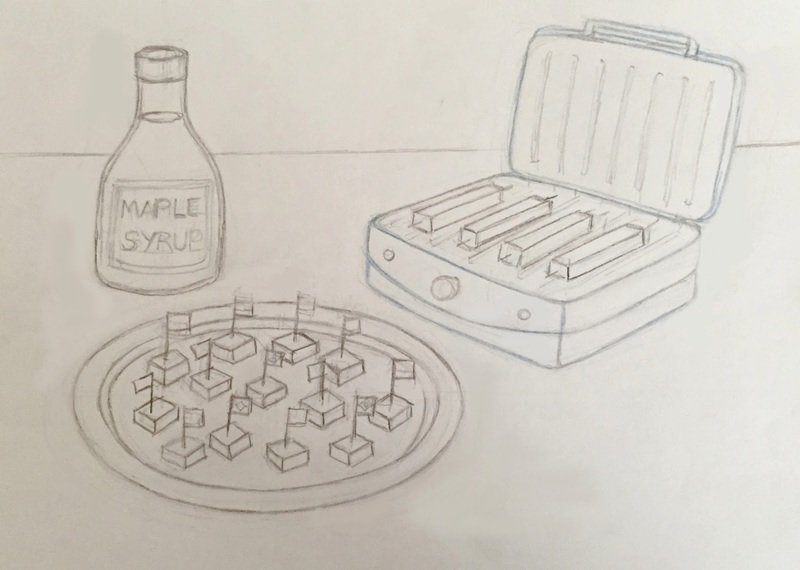 This morning I also spent a lot of time revising the shape of the maple syrup bottle, trying to get it to behave and be symmetrical. Today I kept going with the illustration that I sketched out yesterday. This is going to be an illustration of a recipe for a Brazilian cheese appetizer, soon to be published on our food blog, www.seasoningforeverypalate.wordpress.com. I am happy with the basic composition. This morning I made corrections, cleaned up the lines, and tried get the ellipses right. I started adding some colored pencil, partly to help me see what I am doing. There are still some problems I want to fix, but I hope to begin adding more color tomorrow. To be continued. . . . 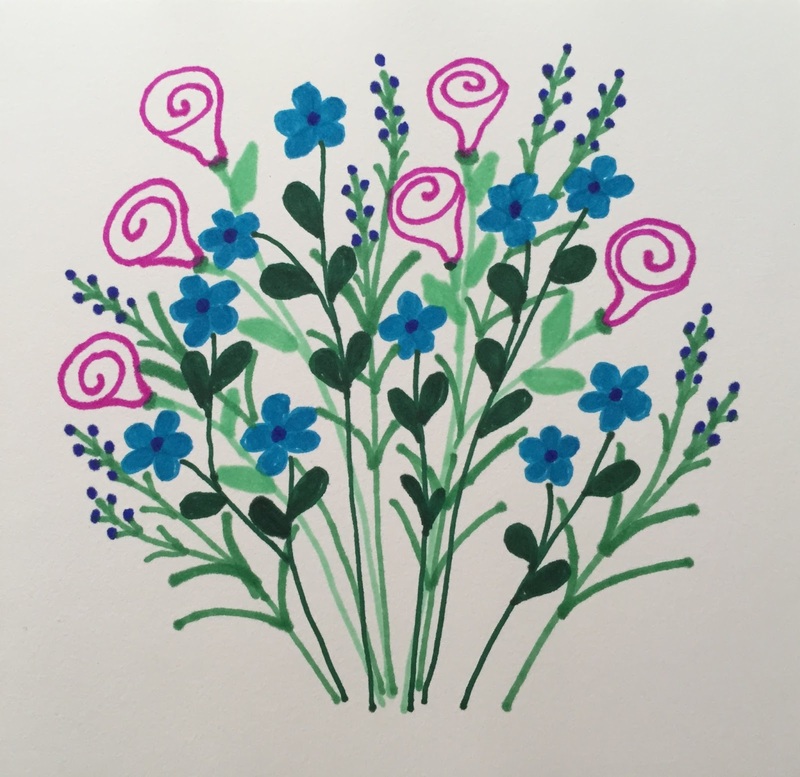 Here's another sketch of flowers, a little floral fantasy with roses and forget-me-nots. I drew this today with Sharpies in a small sketchbook. 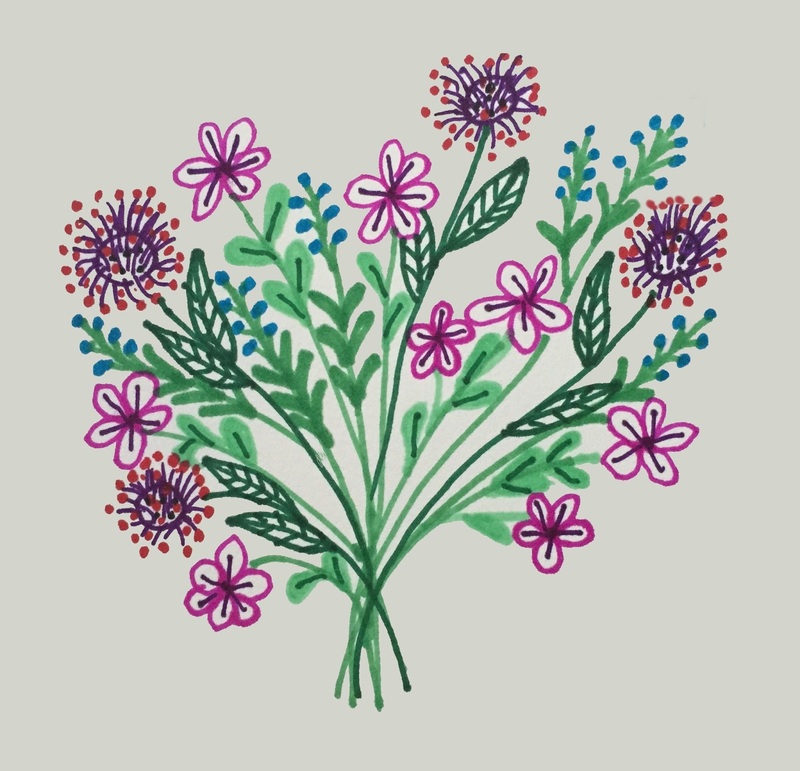 Here's another bouquet that I drew this morning as a drawing exercise. I worked with Sharpies in a small sketchbook. 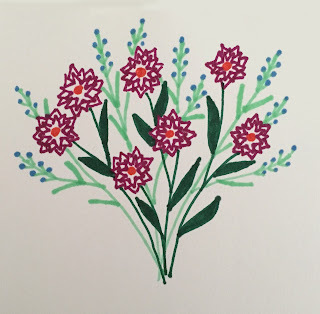 Today I drew these funny little flowers, using my Sharpie pens and a small notebook. It was very relaxing. 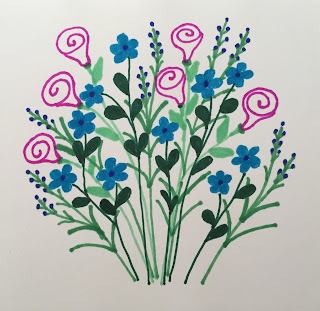 In fact, it was too relaxing because when I was nearly finished, I realized that the tallest flower was too close to the top of the page, and the bouquet was off center. So I took a picture, and transferred the image to my computer. I opened the image in Painter and fixed the problems digitally by adding pixels to the top and left sides of the drawing surface and matching the background color. Then I used cut-and-paste to move one of the blossoms. I did a little cleanup and then cropped the image. And here it is. 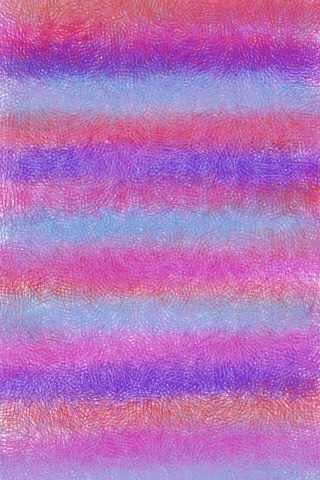 I made this image today, using the Brushes app on my iPad. I started this one with indigo. I think these look like weaving a or tapestries. I made another image today using the Brushes app on my iPhone. I have been making these all week. 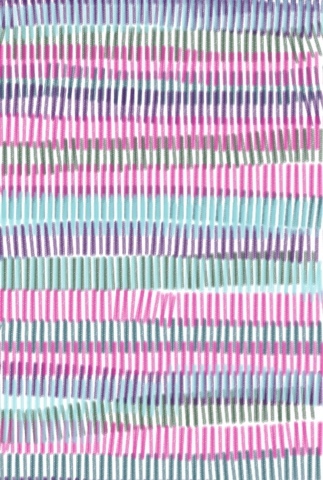 It's fun to play with color and texture. I started this one with brown and added other colors, and tried to create the over and under pattern of weaving. I made this image today using the Brushes app on my iPhone. This time I began with purple, but it seems that no matter where I begin, I end up with hot pink. 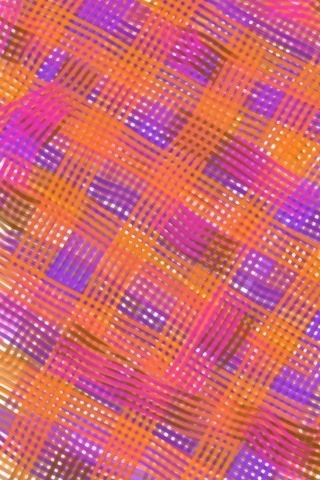 This week I have been using the Brushes app on my iPhone to play with color and pattern. The results remind me of weaves and tapestries. Here's the one I made today, beginning with green. Today I made another image using the Brushes app on my iPhone. (I have been using this all week,) Today I started with dark blue, but still ended up with bright pink. This is another design, created today on my iPhone with the Brushes app. It is getting quite a workout this week. I started with brown and added hot colors. 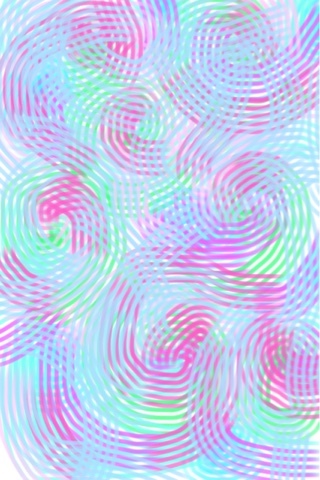 Tonight I used the Brushes app on my iPhone to create this little design. 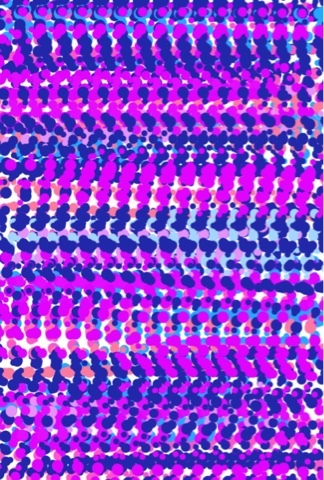 I used Painter to make this pattern from the image I posted here yesterday. 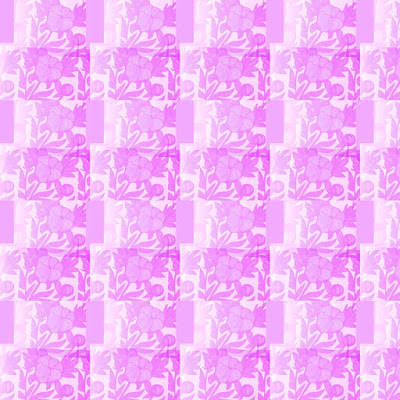 I am pretty happy with this and might use it to make wrapping paper or even cloth on Zazzle. 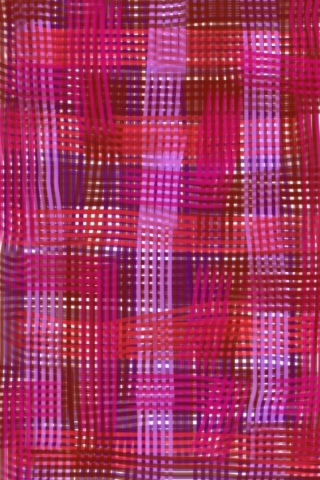 Here is another "digital print" that I made with Painter's pattern pen. 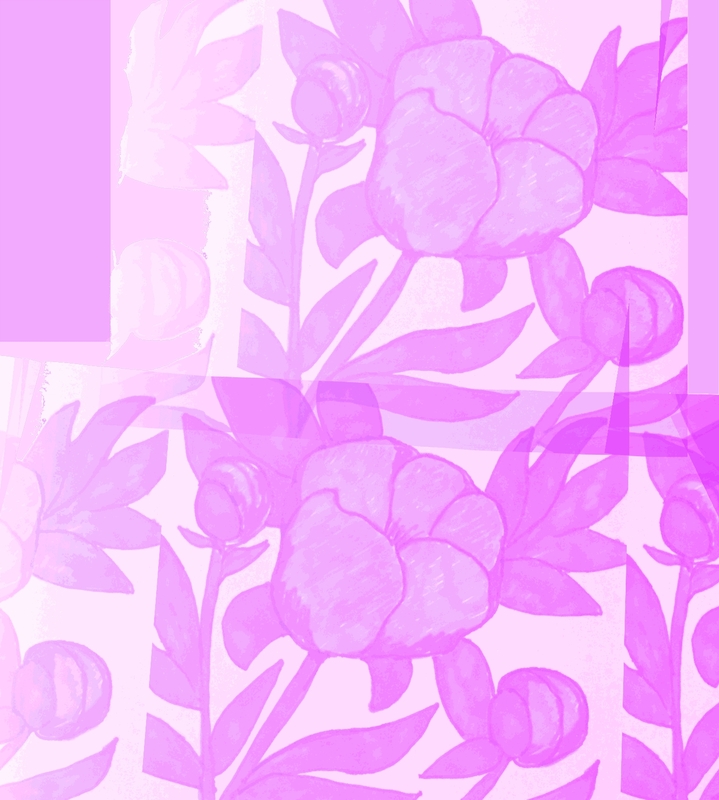 I used my peony pattern again (based on a sketch I made this summer). This time, I used a lot of purple. 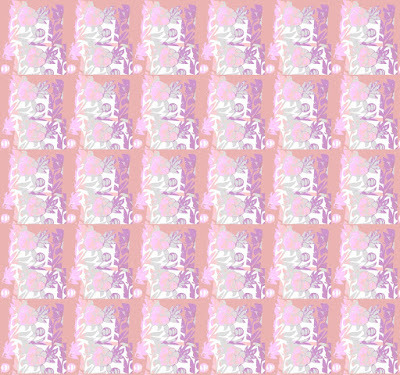 I also used this image to create another pattern, which I hope to post here tomorrow. 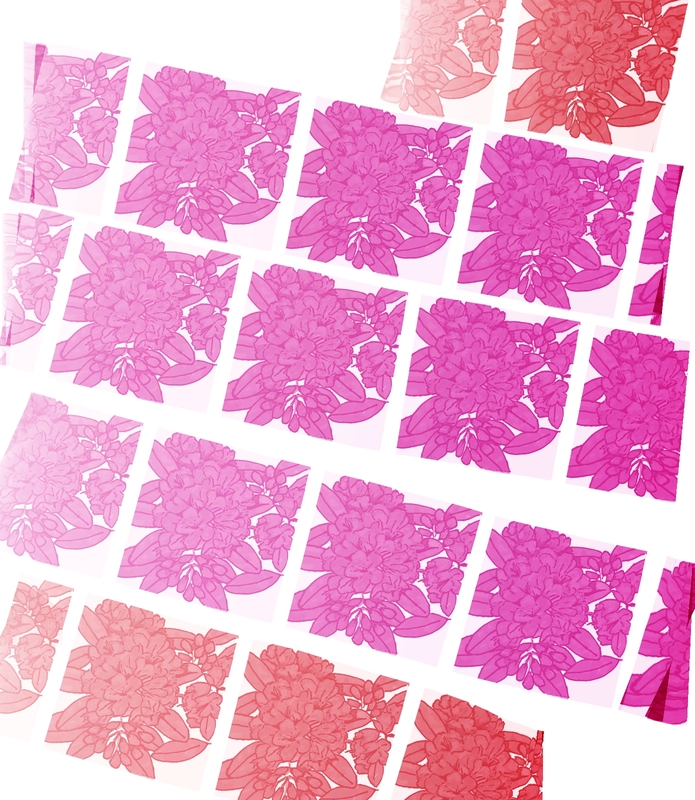 Yesterday I posted a "digital print" created from my sketch of some peonies. 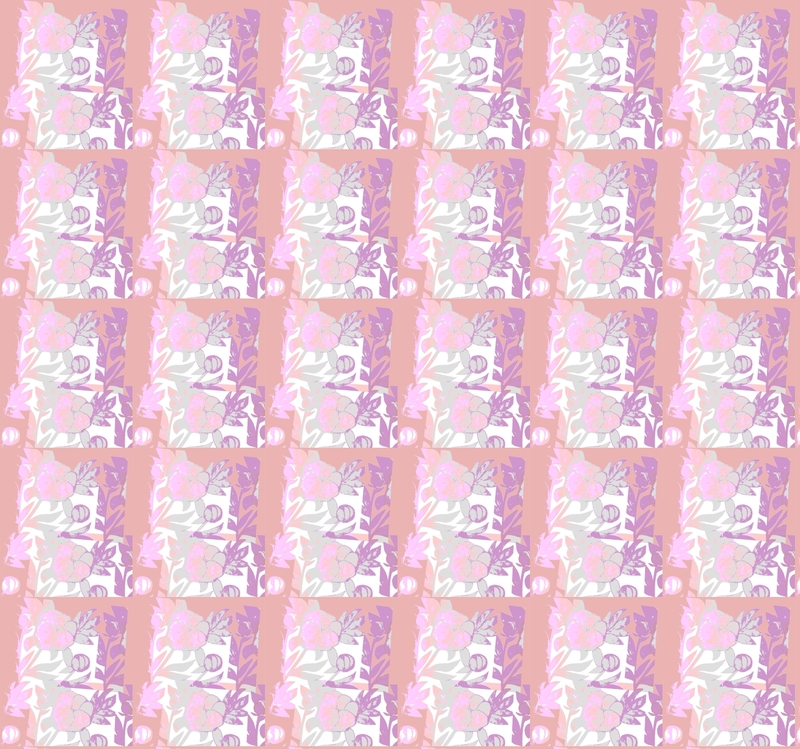 I thought it would make a nice pattern, so I used Painter's capture pattern to find out. I liked it, and here it is. 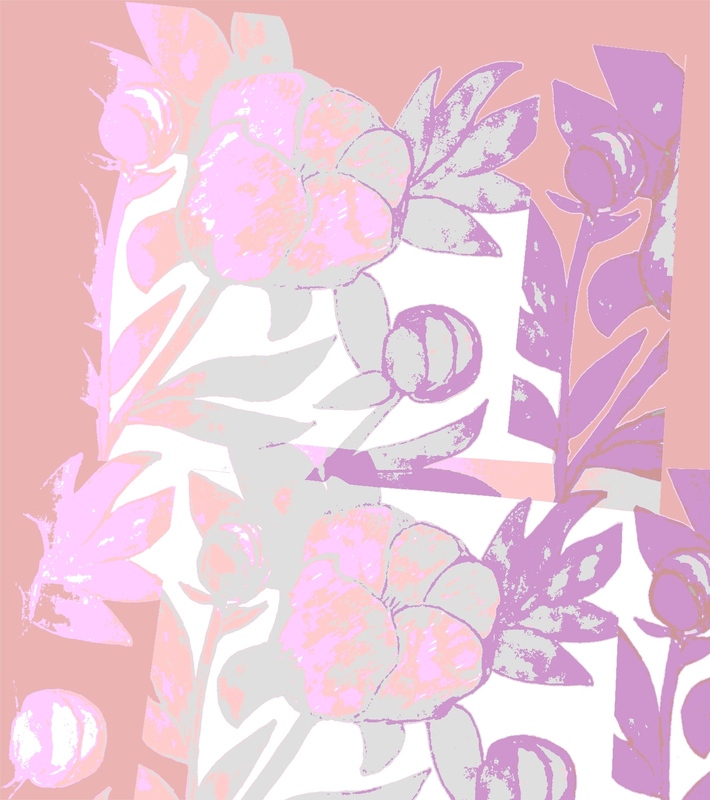 Here is the second image that I made last night, using Painter's pattern pen and a pattern that I made from my sketch of peonies. (The sketch itself is posted here, June 10, 2015 ). I used a great big brush to get large images of the peonies. Then added additional color with the magic wand and paintbrush tools, and then posterized the image. I call these images "digital prints" because the process reminds me of printmaking techniques. This is an image I made tonight on the computer, using Painter's pattern pen, loaded up with the rhododendron pattern that I made in June. (If you want to see the original pattern, it is posted here June 2, 2015.) I use a large digital brush and it reminds me of a brayer as I roll it across the digital canvas. Then I apply a posterizing effect to get some of the random effects of a print. I stumbled across this way of making a digital image and I call these digital prints because the process reminds me of printmaking. I had so much fun doing this that I made a second image, which I plan to post here tomorrow. Tonight I did a little more fine-tuning of this little digital drawing. 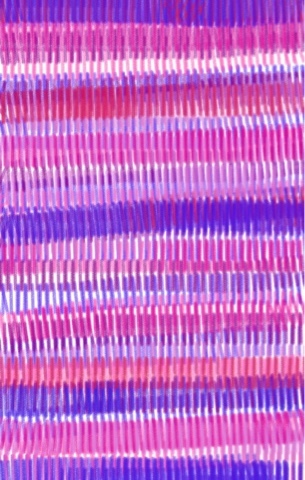 I started this sketch two days ago, using the Brushes app on my iPhone. Yesterday I edited the image in Painter, working on centering the image and correcting some other problems. Tonight I did a bit more. I continued to work on making the vase symmetrical, which took a lot of detail, replicating the Brushes texture by hand (on the table). 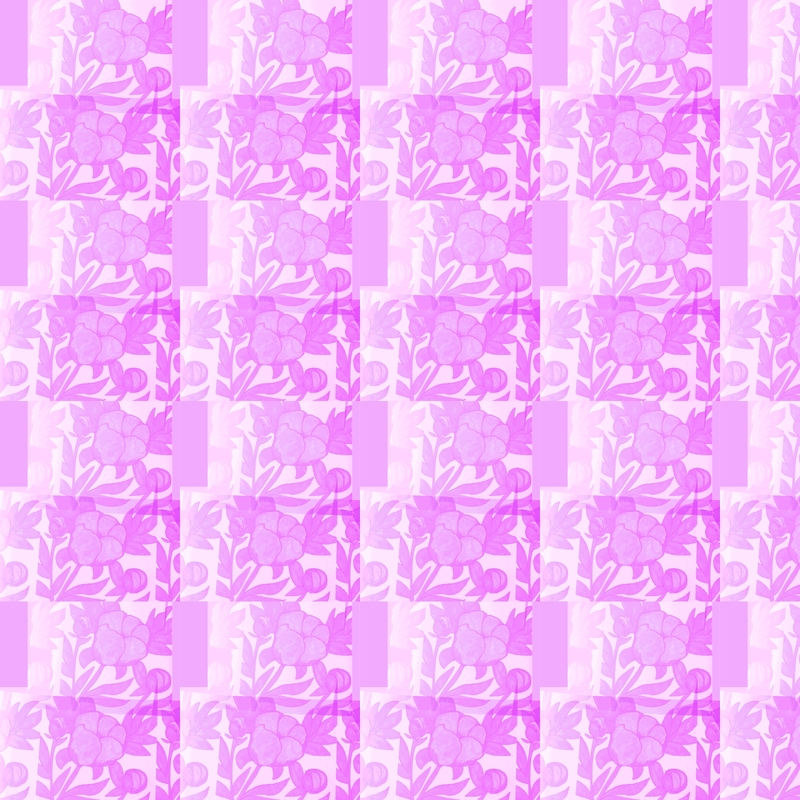 Then I worked on making the centers of the blossoms look a bit more uniform. Yesterday I made a little sketch on my iPhone with the Brushes app. Today I opened the image in Painter and did some editing. 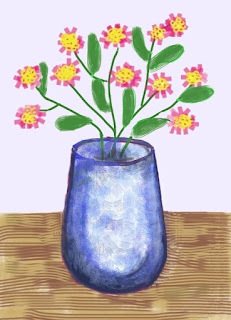 The vase and flowers were not centered in the original version. So I added some pixels to the canvas on the right and used some cut-and-paste and digital pastel to extend the brown tabletop. That put the vase in the center of the image. But the flowers were still off center, so I used cut-and-paste on the left side to move two of the blossoms closer toward the center. 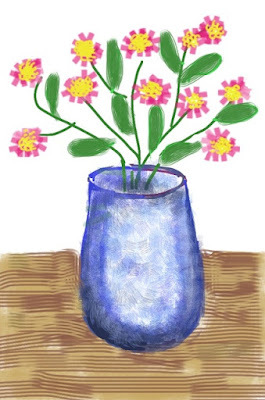 Although the vase was centered, it was asymmetrical, so I used a grid and digital pastel to fix that. (I think it still needs more work, so I hope to take care of that tomorrow.) I also straightened out the horizontal line of the tabletop. Then I used Painter's magic wand and paint bucket tools to add color to the background. This morning, sometime before 8 AM, there was a big thunderstorm. I had gotten up early with plans to do yard work and then get started on a project at the computer. 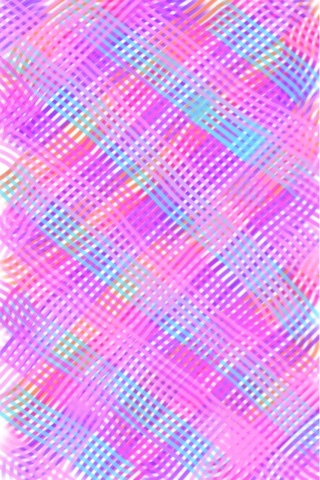 Instead, I got out my iPhone and made this little sketch with the Brushes app. I intended to work for 15 minutes, but it was more like 45. 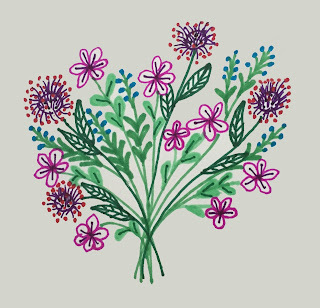 I like the different patterns that are available in Brushes, and it was fun to make this little bouquet. I am planning to clean up this little sketch with Painter on my desktop. Here is the fourth and last version of my photo of blue hydrangeas. The original version had distracting bare branches, withered leaves, and a dusty porch, but I fixed all that with Painter's digital pastel. Using the edited image, I created a version with Painter's posterized effect, posted here yesterday. The version I am posting tonight is the edited photo with Painter's woodcut effect. Yesterday I posted a digitally edited version of my recent photo of blue hydrangeas. The original version had some distracting bare branches, withered leaves, and a dusty porch, but I used Painter's digital pastel to fix those problems. For the version I am posting tonight, I added a posterizing effect, which simplifies shapes and enhances colors. I think I will use this version for some greeting cards on Zazzle.com. But I also created a version with a woodcut effect, which I plan to post here tomorrow. This is a digitally edited version of the photo that I posted here yesterday, a picture of blue hydrangeas near some front porch steps. The original version of my photo had some problems, but I used Painter's digital pastel to fix them. There were some distracting bare stems which I covered by drawing over the photo in digital pastel. 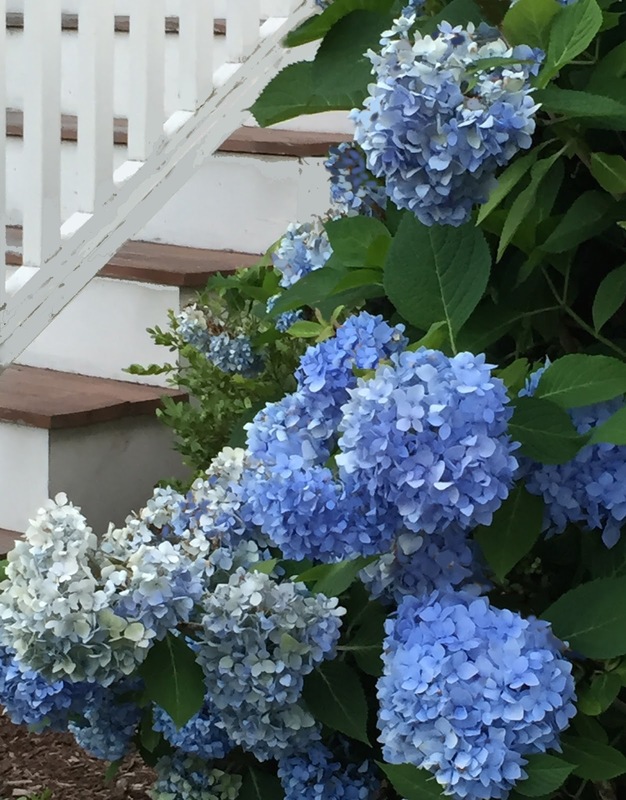 I also changed the color of some brown petals to blue. And I did some cleanup of the stairs. I was happy with this edited version, but I didn't stop there. To be continued. . . .